Bailey Hall, completed in 1900, was designed by John G. Haskell and built in response to surging enrollments in chemistry and pharmacy that made the 1883 Medical Building (known later as “the Shack”), also designed by Haskell, too small and outdated. The new building was named in 1938 for E.H.S. Bailey, beloved professor (1883-1933) and department head (1883-1918), noted chemist and creator of the original “Rock Chalk” chant. 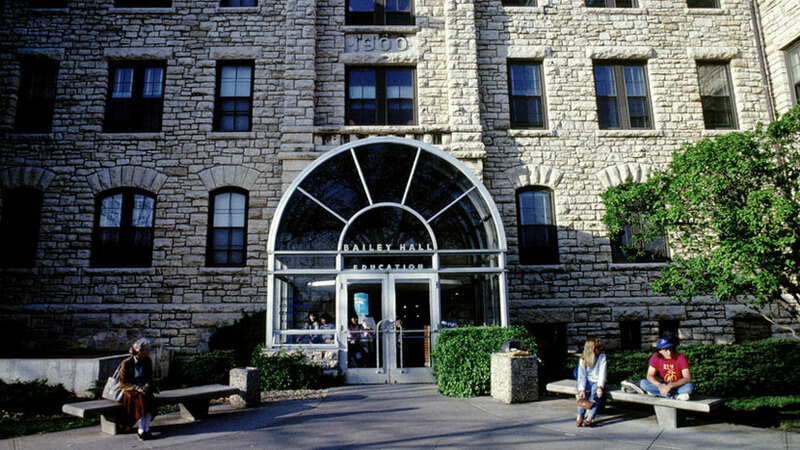 He helped design the 1900 Oread limestone structure, technically the New Chemistry Building but known from the first as “Bailey’s barn”; in 1954 the chemistry department and the School of Pharmacy moved to the new Malott Hall. After renovations, the School of Education occupied the hall until 2001, when it moved into expanded and updated quarters in Joseph R. Pearson Hall. Bailey now houses several College of Liberal Arts & Sciences programs, including the communication studies department; African and African-American, American, Latin American & Caribbean, and European studies; African, East Asian, Global & International Studies, Latin American, and Russian, East European and Eurasian studies centers; and humanities and Western civilization. 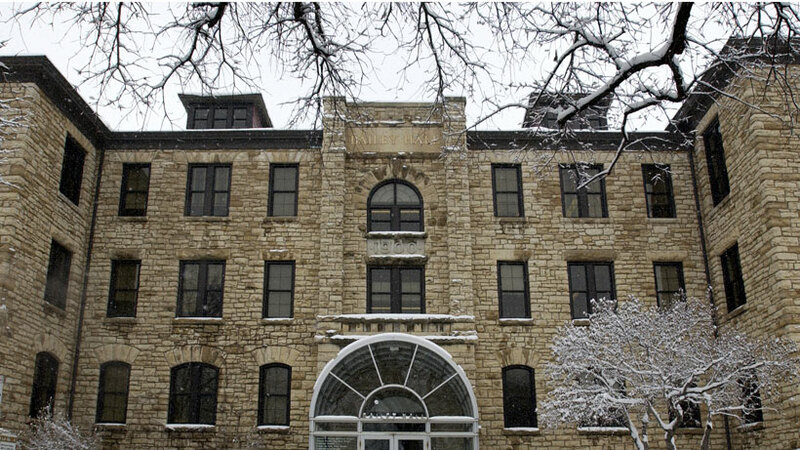 It is part of the University of Kansas Historic District, listed on the National Register of Historic Places in 2013.